GOA, 19th NOVEMBER 2018: Superstars of South – Rana Daggubati, Venkatesh and Suresh Babu to come together to ‘Decode the Daggubatis. Daughter Rhea Kapoor to moderate a Masterclass with Mr India, Anil Kapoor. Character Actors will be unmasked in an In-Conversation session with Chitrangada Singh and Jim Sarbh. Ace lyricist Prasoon Joshi to ‘unleash his lyrical imagination’ in an In-Conversation session. Boney Kapoor to have a ‘Konversation’ with his children Janhvi and Arjun Kapoor. Kriti Sanon, Diana Penty and Rakul Preet Singh to grace IFFI 2018 as a part of their respective In-Conversation sessions. The Audiences will also get to tune into Tunisian cinema in an In-Conversation session at IFFI 2018. Rahul Bose, Pankaj Tripathi, Nila Madhab Panda, Rajshri Deshpande, Divya Dutta to discuss what redefines stories. ~An In-Conversation session featuring a candid chat between David Dhawan and Varun Dhawan. Women Directors in Indian Cinema – Meghna Gulzar, Leena Yadav and Gauri Balki to have an In-Conversation session. Shoojit Sircar, best known for his ‘out of the box’ films like Vicky Donor, Pihu and many others, to have an In-Conversation session at Black Box. The agenda at Masterclass and In-Conversation sessions will begin with Bergman ‘Wild At Heart, Master At Craft’- In Conversation Session that will be moderated by Sunit Tandon and feature Mr. Mikael Timm, Ms. Jannike Ahlund and Ms. Ulrika. 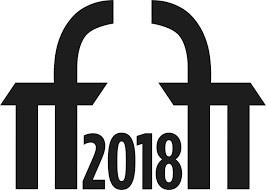 For the uninitiated, 2018 marks the 100-year anniversary of Ingmar Bergman‘s birth, and to commemorate the occasion IFFI 2018 will be showcasing 7 best films of his career at the festival. One of Bollywood’s most popular singers today, Arijit Singh will speak about ‘Hitting the right notes’ at IFFI 2018. The singer is also debuting as a film director at IFFI 2018 with his film Sa. The Kapoors – Boney Kapoor, Arjun Kapoor and Jhanvi Kapoor will come together for a candid ‘konversation’ at IFFI 2018. Similarly, papa David Dhawan will engage his son Varun Dhawan in a conversation titled, ‘Dha-One’. The session will be moderated by Rumi Jaffery. Actress Kriti Sanon will make her presence felt at IFFI 2018. The audiences will have a great opportunity to know the actress in an In-Conversation session titled, ‘Ms.Takens’ Identity – Getting to know Kriti Sanon’. The audiences will also have the golden opportunity to learn from Israeli master craftsman, Dan Wolman in a Masterclass at IFFI 2018. Dan Wolman whose films have been screened across the world at prestigious festivals will be in town to receive the Lifetime Achievement Award in the field of Cinema at IFFI 2018. The audiences will get to tune into the Tunisian cinema as an In-Conversation session with the Tunisian Ambassador and Tunisian writer, artist, storyteller, and filmmaker Nacer Khemir is scheduled to unfold at IFFI 2018. Another session titled, ‘Saksham: The Visual made Verbal’ will see veteran filmmakers Ramesh Sippy with Dipendra Manocha and Rumi Seth have a conversation. After enjoying a stupendous run at the Box Office with his latest release Andhadhun, Sriram Raghavan will be seen in ‘A Bromantic thriller’ with his brother Shridhar Raghvan. The latter is a National Award winning screenwriter and a film producer. Popular film critics and film journalists Anupama Chopra, Rajeev Masand, Komal Nahata, Bhawana Somaaya will engage in a conversation with film director, Shaad Ali in an In-Conversation session titled, ‘Thinning lines between critically acclaimed and commercially viable Cinema’. The recent past has seen women directors claim their rightful place in Bollywood – both, via critically acclaimed films they’ve directed and by the box office returns their films have generated. A few such women – Meghna Gulzar, Leena Yadav and Gauri Shinde (Balki) will be seen in an In-Conversation session at IFFI 2018. The 49th IFFI will also have superstars from the south – Venkatesh, Suresh Babu and Rana Daggubati (best known for his role as Bhallaladeva in the magnum opus Baahubali series) in an interesting session of conversations titled, ‘Decoding the Daggubatis’. The session will shed more light on Suresh Productions and its contribution to cinema, Venkatesh Sir’s life as a veteran and the ease with which he portrays his characters, in addition to having a splendid career spanning 29 years in Indian Cinema and becoming a Box Office King, and Rana‘s multifaceted life as an actor, producer, visual effects supervisor and pulling of versatile characters like a war lord, Indian marine officer and a super villain on main screen. IFFI 2018 will see more participation from filmmakers from the southern part of the country – who also happen to be some of the most talented filmmakers in the country – with filmmakers and analysts of the entertainment trade from the United States of America. The session titled, ‘Roundtable Business Conference’ will focus on making Co-Productions work. In what is sure to be a fun session, celebrated actor Anil Kapoor, best known for his role as and in Mr India, will be seen in a Masterclass moderated by daughter and popular film producer Rhea Kapoor. Actress and film producer Chitrangada Singh will be seen with Jim Sarbh in an In- Conversation Session on Unmasking the character actors. Jim Sarbh has recently been raking in critical acclaim for his roles in Padmaavat and Sanju. IFFI 2018 will also see model-turned actresses – Diana Penty and Rakul Preet Singh in an In-Conversation session titled, ‘Ramp to screen’.